What political issues are most important to American Catholics? Have Catholic political values changed over time and if so, why? Is there such thing as a “Catholic vote”? The scholars largely agree that American Catholics are united in faith but divided on a range of political issues including immigration, gun control, and abortion. Catholic voters also care about education, unions, and the welfare state but may not vote consistently in these areas either. While a homogeneous “Catholic vote” may not exist because of the diversity of American Catholics themselves, Amy Al-Salaita suggested in class that a shared respect for the dignity of human life may influence Catholic political values. The emphasis on dignity of life and labor has contributed to the active role of Catholics in the American labor movement since the 1880s. This week, Sarah Eden, Laura Enachescu, Sam Jaros, Kristin Morrison, and Sydney Williams reflect on the relationship between Catholics and unions in their blogs. Welcome to the Fall 2018 Seminar! Welcome to the Fall 2018 Ramonat Seminar in American Catholic History and Culture! Visit the about page to learn more about this year’s Ramonat Seminar, which investigates how Catholics and Catholicism shaped American politics in the twentieth century. The Fall and Spring syllabi are now online. We’re looking forward to a great year! Follow this site for updates on Ramonat-related events and to learn more about what the Ramonat Scholars are reading, researching, and writing over the next academic year. Dominican Sisters of Hope in Washington D.C., 1968. This past Saturday, we celebrated the end of the school year with a colloquium. Scholars presented their research and fielded questions from the audience, then they and their guests joined Susan Ramonat, Dr. Karamanski, and Marie in a celebratory toast! Finally, this year’s winner of the Susan Ramonat Award for Scholarly Excellence was announced–congratulations to Garrett Gutierrez, this year’s winner! 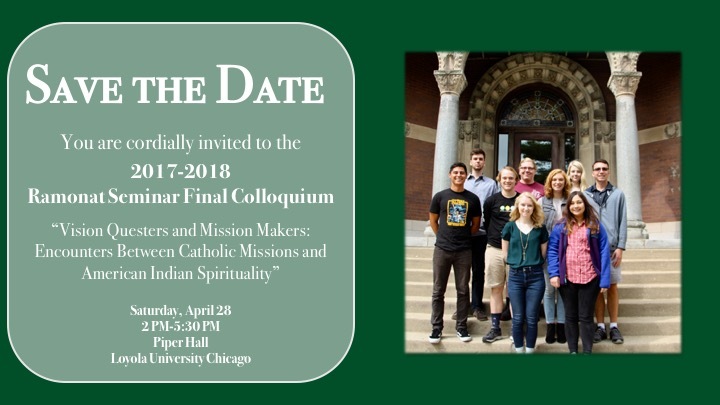 Save the date for the upcoming Ramonat Seminar final colloquium! Ramonat Scholars’ presentations on their original research from the course will be followed by a reception and the awarding of the Ramonat Prize. 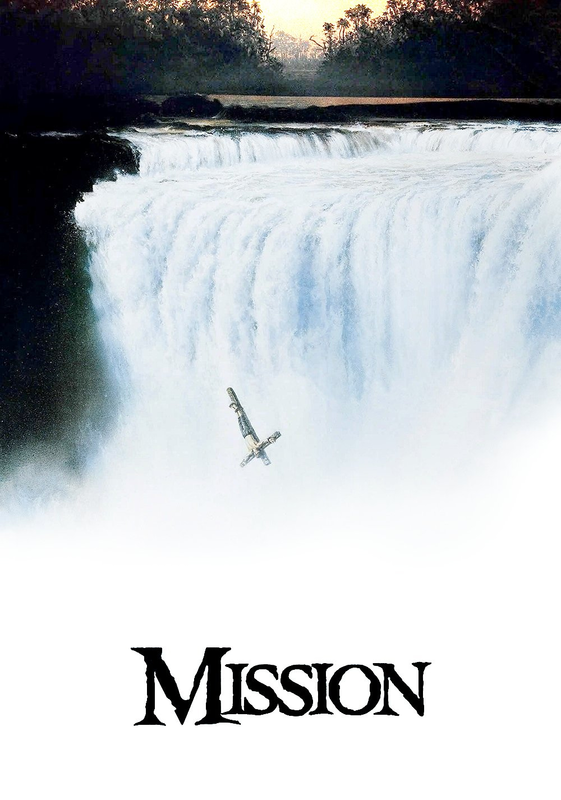 On Monday, March 26, at 5 pm, the Ramonat Scholars will gather for a screening of the 1986 film Mission, starring Robert DiNero and Jeremy Irons. The film explores the experience of eighteenth-century Spanish Jesuit missionaries in South America.